I wrote this just two days after finishing two graduate courses in Creative Problem Solving. It demonstrates how simple it is to use creative thinking principles in everyday life, even with young children. Here I engaged my son with stating problems as questions and generating many, wild ideas. After being away from my husband and 3 and 1 year old children for two weeks, we were anxious to catch up, so we stopped at a coffee shop on the way home from the airport for a morning family date. Along with my coffee, I grabbed one of those little green sticks that my daughter loves to play with and handed it to her. Immediately my son blurted out, “I want a stick! I need one of those!” I saw my husband’s face, waiting for the “please,” we are trying to teach our son to use. Before I even knew what I was doing, I heard myself say, “What might be all the ways you could get a green stick?” I laughed audibly at my use of the challenge statement starter I had learned in class, but my son engaged immediately, “A chair! A stool!” he shouted. I joined in, “You could fly one of your grandpa’s remote controlled helicopters over and knock the container of sticks to the floor to pick them up!” He giggled, and we continued, “You could train a monkey!” “You could throw your muffin to knock down the container!” until my son couldn’t take the absurdity any longer and got up to go try out the idea of jumping as high as he could. As he unsuccessfully jumped for the sticks, a boy a few years older saw him and grabbed a stick for him. 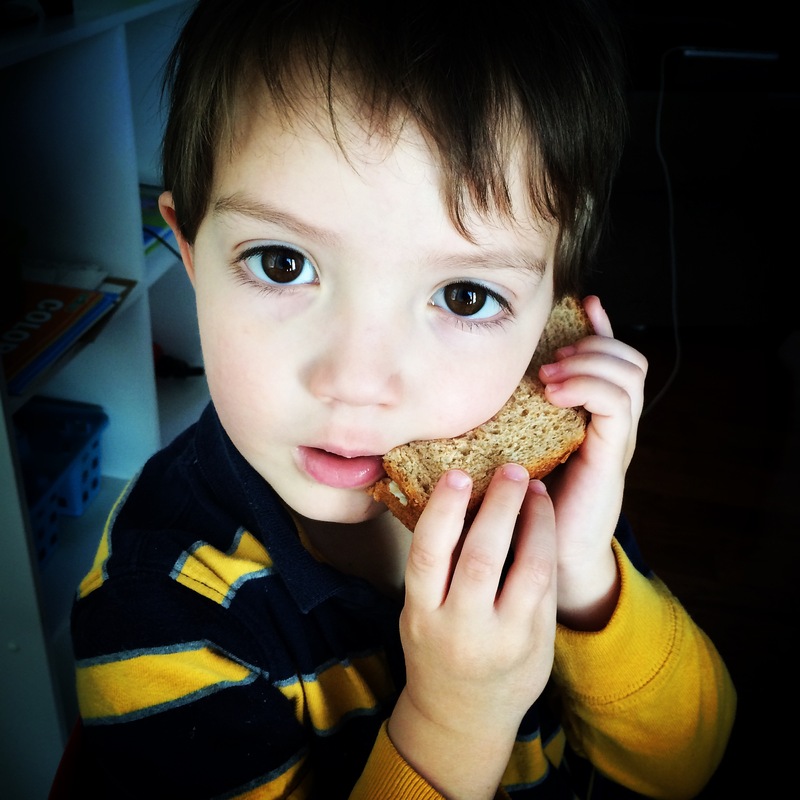 My son beamed, and so did I. I had just discovered how simple it can be to help my children to grow up to think creatively, and I didn’t even have to plan it out. How he got the stick didn’t matter much in that moment, but the fact that we are developing a habit of seeing problems as questions and playing freely with novel ideas can make a big difference in how he sees the world and acts within it as he grows.